Shawl - Multicolored open weave lacy shawl. Great as a shawl, summer, winter or in between! This piece can also be worn as a scarf in the cooler months. 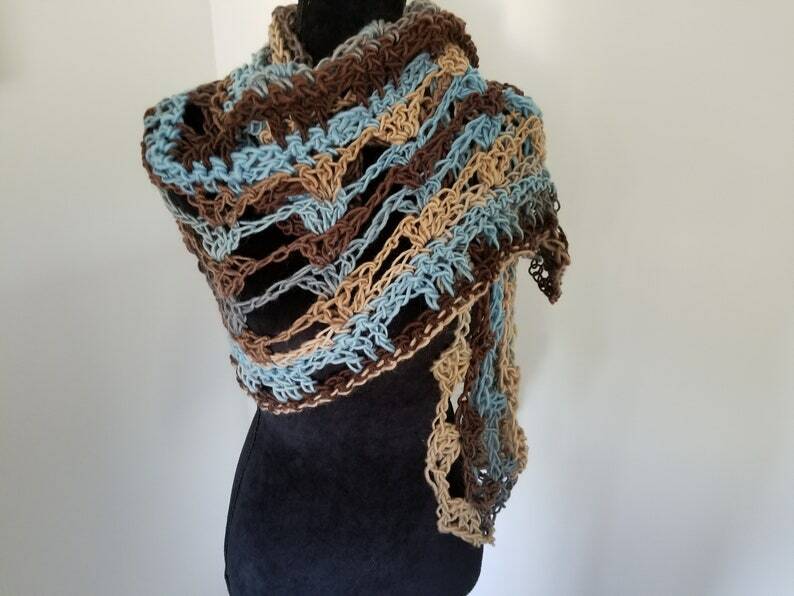 Crocheted in shades of blue and brown with a touch of gray, this shawl will brighten up any outfit from dresses to jeans and a tee shirt. Top off any outfit (from casual to dressy with an airy lace wrap. 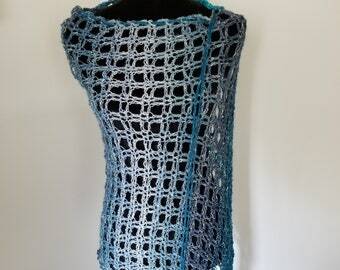 The shawl is hand crocheted in a 100% pure superwash wool yarn. Measurements are 16 inches wide and 60 inches long.